Our single-use instant cold packs offer a convenient and cost-effective method of delivering localized cold therapy. 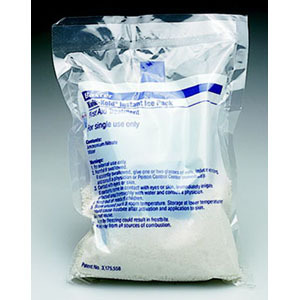 Ready when you need them, the cold packs require no special preparation or refrigeration. Store them at room temperature and activate them in an instant with a firm squeeze and a gentle shake. Gives pain relief for cuts, scrapes, minor burns, athletic injuries, sprains and toothaches.